So that came round quickly. Liveries out, testing done... it must be time for The NR F1 Podcast to crank back to life ahead of its eighth season of audio speed. Edition 238 of The NR F1 Podcast tees up the new season, the biggest talking points from the winter and more - all at the iconic Rushcutters Public House on the outskirts of Norwich, UK. 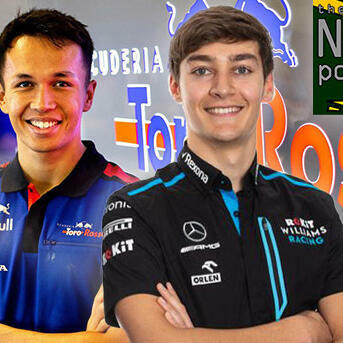 Michael Bailey is joined by Richard Baxter, Callum Springall and Nathan Tuck to natter through the winter rumours - including their predictions for the 2019 season and opening grand prix in Melbourne. The British county of Norfolk is where the iconic success of Team Lotus was cultivated, where Ayrton Senna, Graham Hill, Martin Brundle, Mark Webber, George Russell and more honed their race craft - and home to The NR F1 Podcast.